There simply arent enough words to describe Linda Booth and her approach to someone in a lot of discomfort and pain from something we (especially as physicians and surgeons) take for granted in our own subset of patients. I've never had colon hydrotherapy before, and there was always that sense of nervousness and uncertainty as to whether it would make any difference to my predicament of a really uncomfortable and painfully impacted bowel. Needless to say (as I'm sure all of her patrons would agree) I came out of Linda's treatment a completely rejuvenated and grateful person. What inspires me about Linda isn't just her professionalism. She is an incredibly kind and caring woman who has the power to heal just by being herself. I wish more people can attain even just a fraction of her innate ability to make things better simply by showing some kindness and understanding. We've been in touch ever since - not that I've needed any more treatments, but because its not possible for me to ignore the sense of well-being and comfort that a fellow human being brought to a complete stranger. I will continue respect that, and will therefore never forget Linda's kindness. I lived in London for 20 years and had a successful and very demanding career in PR & Marketing. It was highly stressful, especially in regard to my health. At the age of 28 my career was nearly railroaded due to a number of seemingly minor health issues all coming together to really make me feel terrible. Not least of these was 'irritable bowel' for which my GP prescribed tablets that he added I may have to take for the rest of my life. It was at this time that I took my health into my own hands and started to eat in a different way and seek out complementary therapies including acupuncture and colonic irrigation. I was really sceptical about this but was willing to try it to see if it would help. This was in London in the late 80s and Princess Diana was attending the Hale Clinic to have colonics. I thought, 'Well if it works for her it may work for me'. I then went to the Hale Clinic and nine months of treatment later I had no IBS symptoms and several skin complaints had totally cleared up. I felt less sluggish and all together healthier. For the next 15 years, I turned to a number of therapies including colonics to keep me healthy enough to handle 80 hour weeks, children and a really demanding lifestyle. Having my own business, I did not have the luxury of having time off sick so staying healthy was a top priority. In 2000 I sold my business and moved overseas for five years. During this time I discovered I had breast cancer despite the fact that at the time I was a super fit vegetarian. This critical illness forced me to discover more about my health and again I realised just how damaging stress can be and that all good health stems from good digestive health. Returning to the UK I was determined to create a good work life balance and again ate as healthily as possible, took a part time job and visited the gym regularly. However I had not anticipated a harsh early menopause. For months I thought the symptoms may just 'work themselves out' but they just got worse. Due to my cancer background taking HRT was not an option. I felt bloated all the time. I started a course of acupuncture, took up Pilates, took vitamin supplements, made sage tea, went for walks and everything I thought possible for keeping the menopause symptoms at bay. I had totally forgotten about colonics and to be honest, having only previously attended the Hale Clinic in London, I was sceptical that I would find someone skilled in this and nutrition in my neighbourhood. Returning from a trip to India with a bad case of 'Delhi Belly' I finally went on-line and found Linda's details. The web site was well designed, professional and informative. This lady looked like she knew what she was speaking about so I booked in an appointment. Now some three years later, Linda is my No.1 health professional of choice. Her treatments take away my bloating and as I travel regularly to poor areas of nations such as India and Africa I feel that they also stop any unseen problems developing in my gut. Linda is outstanding. Her treatments are in a safe and comfortable environment and she is an expert regarding nutrition and digestive health. I'm in marketing and I believe that colonic hydrotherapy will be acceptable and a common medical practice in years to come as more and more people discover the benefits. For now, it is seen as a bit 'odd' and people do seem to hold a great number of misconceptions about it. However I have persuaded a close family member to attend and the benefits were so good that he has returned several times. In short, I recommend Linda unreservedly. I just hope I can get an appointment in the years to come when more people return to be treated by her! I've been having colonics for the past 15 years plus. And as I frequently work in different areas of the country I've had them with many different therapists. It is my experience that Linda is without equal in her field. Her technique is excellent and she always delivers great results at each session. In addition to her skills as a Colon Hydrotherapist, she also has a good all-round understanding of the Digestive System and imparts this knowledge freely to benefit her clients. Her compassion and genuine desire to help individuals gain better health is outstanding. She is genuinely one of life's 'Good People'. If you are thinking of having a colonic with Linda, then dont hesitate. She is the best in the business and you will feel a lot better afterwards. I wanted to say thank you for all your support today throughout my treatment – you helped me to feel totally at ease and guided me through a procedure that I felt very anxious and nervous about. Apart from a few gurgles I feel clearer and more focused in my mind and calmer overall. I have enjoyed two meals of steamed veggies with chicken at one, fish at the other – I do feel hungry and am trying not to eat large amounts in one go. Could you please email the name of the book – physiology (something to do with autism and eating) and also the name of the book in your toilet (500 ways with health) – something along those lines. I will be in touch after Saturday re Chris – he was reassured to see me so well! I will also not hesitate to guide friends and colleagues to if they need help in that way. You are very kind and thoughtful. You are a credit to your profession, and your love for what you do really shows, and is unique and quite rare in this day and age. It has been a pleasure having treatments with you - you are very generous with your time, information and goodies. A big thank you. If you would like to use this as a testimonial for anything, I am more than happy. I recently visited Linda Booth for Colon Hydrotherapy. Having had problems with my bowels and bloating for the last few years, as well as dull complexion and problems with my skin and lack of energy, I decided to try this treatment. The results have been amazing. Linda put me thoroughly at ease, explaining all of the equipment and the procedure itself. Having the procedure was not uncomfortable or unpleasant as I had imagined and I felt relaxed throughout, with Linda explaining everything that was happening. The treatment room and facilities were very clean and hygienic. The results have been brilliant- I feel I have more energy, my skin is clearer and I feel much less bloated, with less sluggish bowels. I was hopeful that this would be a therapy which would help me and it has suprassed my expectations. I would throuroughly recommend this treatment and Linda Booth to anyone considering colonic hydrotherapy. I had been suffering from abdominal pain and bad skin for the past few years. We all know that diet has a big impact on the condition of the skin. I heard about colon hydrotherapy treatment at work, and I decided to give it a go. Linda made me feel relaxed during the procedure and, what a surprise, my skin looked so much better after just one treatment. I have also found out that you can be constipated even if you empty your bowels regularly. Since the treatment, I visit Linda approx every six months. I no longer have any problems with my skin. I believe that colon hydrotherapy treatment is the best form of facial. Linda also gave me lots of useful advice on how to look after my digestive system. Thank you. The Association & Register of Colon Hydrotherapists received the following e-mail ..... " I am writing to you today as I would like to commend Linda Booth, and how she is a great asset to your Association. I called you some few weeks back and expressed my concerns over a colonic I'd had using the Libbie System. You recommended Linda to me and I called her straight away. Helpful wasn't the word. She was more than that. Very sympathetic to my needs, sounded very understanding and gave me advice on how to relieve my discomfort, before she could fit me in. She then re-jiggled her diary to be able to fit me in the next day, which I was so grateful for. On arrival, I felt very relaxed and we spoke for around 10 minutes about my diet and lifestyle; something which hadn't happened when I went to see the lady with the Libbie System. After my first colonic with Linda, she recommended a diet to me and some probiotics and digestive aids. I felt so happy with the results after just 1 session, and after session 2, I really noticed the difference. I spoke very highly of Linda to everyone. I am due to go back again at the end of August, and am actually looking forward to going. Linda makes you feel at ease, not embarrassed in any way, and is professional throughout. I cannot begin to tell you how wonderful Linda is. She has changed my life. For the first time ever, I have felt happy within, and happy with the way I look instead of feeling bloated all the time. I would highly recommend her to anyone, and I wanted you to know how grateful I am to her and what a fantastic person she is. I feel people are too quick to complain these days, but never quick to commend where due, and on this occasion, is more than due. Thank you so much for your recommendation. I now have a colon hydrotherapist whom I fully trust and can rely on." I visited Linda Booth for a colon hydrotherapy treatment in April, 2010 after having a gallbladder imbalance and general low energy and sluggishness. I had not had a colonic for some 20 years and was so pleased to meet Linda. Her clinic room is wonderful, clean and very professional, and the facilities are great - the bathroom to the clinic space is excellent. 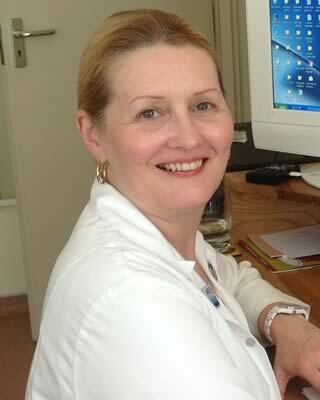 Linda herself is very comforting to be with, relaxed and calm and really knows about the colon. Her knowledge, guidance and advice is excellent and carefully took me through information I needed for preparing for a Liver and Gallbladder Cleanse. After the first colonic, I felt so much better and by the second colonic, I was visibly brighter and lighter, and feeling so much better. I also attended 5 Element Acupuncture alongside my treatments with Linda, and I can say that within 8 weeks I feel rejuvenated and much more myself. I will be having a couple more colonics with Linda to really clean out all the old debris, and then after every season. I can thoroughly recommend Linda Booth as a true professional and carer within her field. Thank you so much. I have been so much better the past few months, so am really glad I came to see you. I found out that I'm blood type O so was eating all the wrong things according to your advice. I tried the diet for type O and it has worked a treat! I must be 70% better with a combination of the colon hydrotherapy and the diet, so I'm, very, very grateful for your help. Helen F.